I don't have enough of 1 thing to write about for me to feel like they're worth their own posts, so here's a few randoms that I've seen lately. For example, I actually left the house to go out with my husband and some of his friends this weekend. 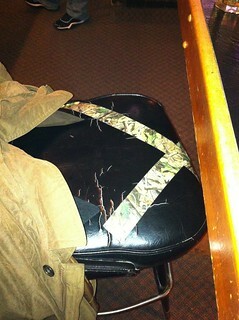 At a local drinking establishment (fancy way of saying bar) one of the chairs was coming apart. At least I think it was... I could barely see it with the camouflage tape on it. 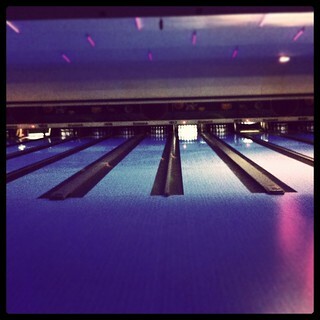 And then we went bowling, which is both fun and not fun at the same time. Fun when you're doing well but gutter balls make me feel like I've ruined everything. 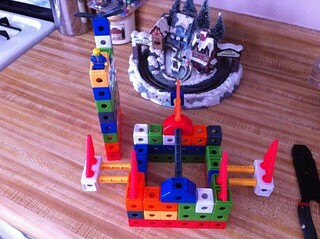 The best part of babysitting is playing with toys. And spending time with the kids or whatever.